(These are just some interesting passages in reference to the Goddess Lakshmi Devi. I would like to especially bring out that even the Goddess Lakshmi Devi is wishing she could be with Gopinath in Goloka Vrndaban. 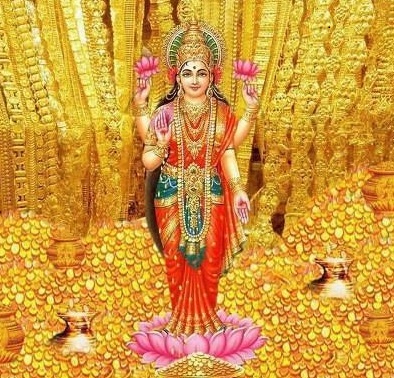 Despite all kingly and godly opulences the Goddess Lakshmi Devi is wishing she had the Supreme intimacy of loving reciprocation with the Supreme Personality of Godhead, Lord Govinda, in Goloka Vrndaban. There is a need to understand how God has a special place in the spiritual sky where He enjoys perfect love relationships with His eternal associates – eternally. 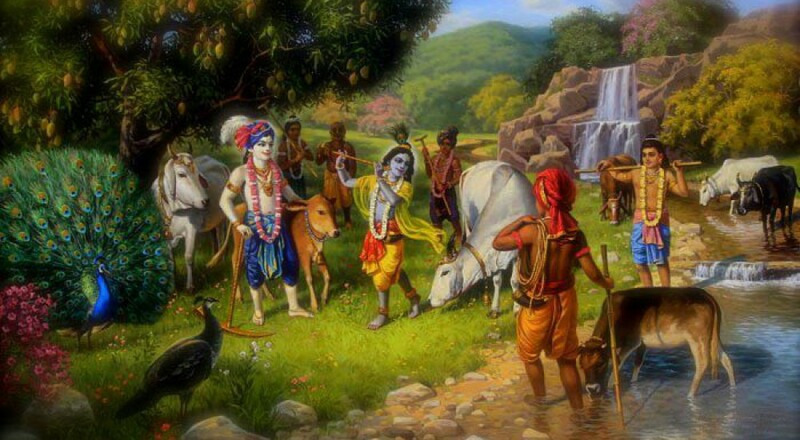 The Vaisnava devotees of the Supreme God aspire for residence in Vaikuntha, residence in Krsna-loka, and just wherever God wants them. God really only needs our love. We can and should spend money, other resources, or offer other services for God; however, God only really is looking for our love. God is all spiritual and everything as well as everyone in God’s abode is of the same spiritual substance. In God’s abode, the Spiritual Sky, there is no evil, everything and everyone is in goodness, all is eternal. It can help to fear God or think of God as Father. However, when we like God as Father we are expecting God to provide us with so many things. 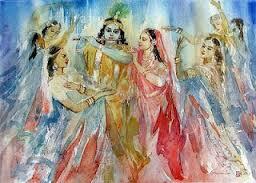 We have learned in Bhakti Yoga that there are higher relationships with God. Ultimately, we should be satisfied to have God’s Love. God is all-knowing and Omnipotent. God is the Supreme Controller. Not a blade of grass moves without God’s consent. Therefore, we should trust in God. We should believe in God. If we continue to have difficulty that is probably due to bad karma. However, our karma will continue to improve if we hold on to our faith, belief, and trust in God.